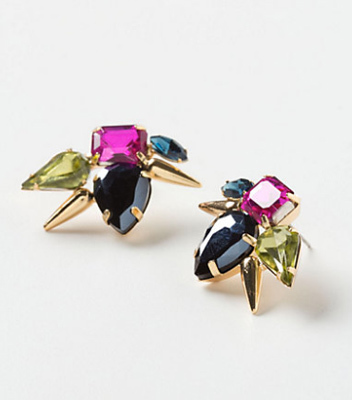 Kate Spade kaleidoscope floral cluster studs, $78 at Zappos Couture. 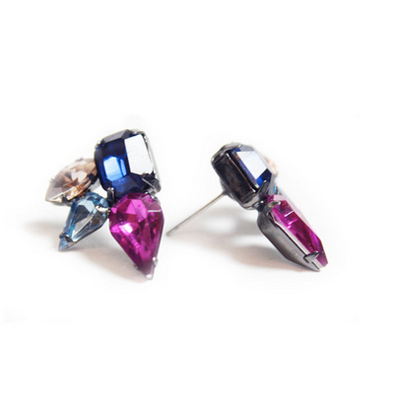 Multi-stone stud earrings, $22 at Lydell NYC. 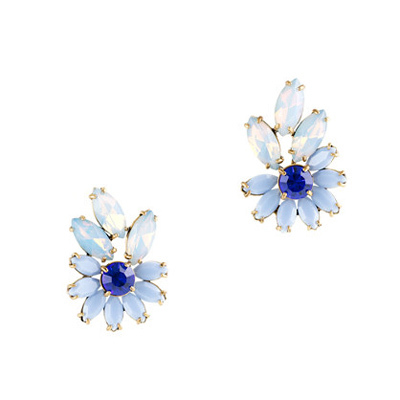 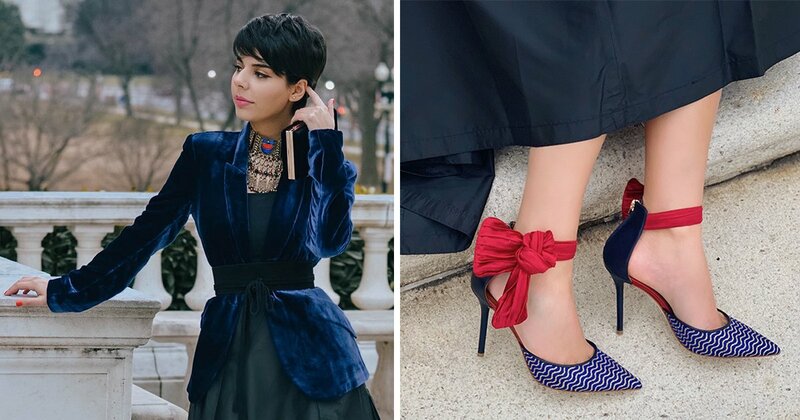 Ice cluster drops $28 at Bauble Bar. 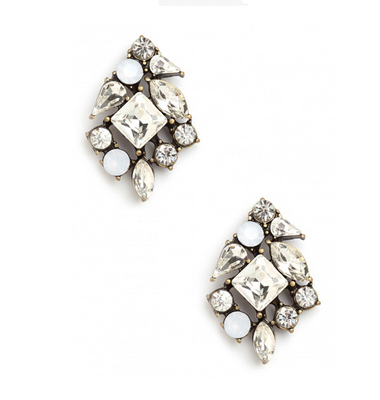 Sabrina cluster earring, $49.50 at Club Monaco. 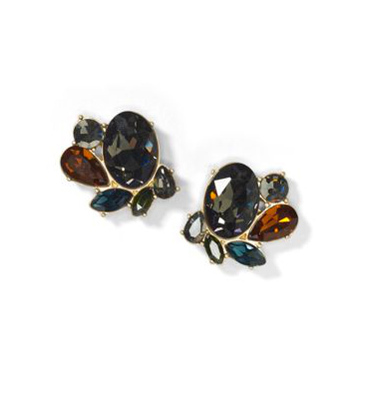 Multi-stone stud earrings, $42 at Chloe & Isabel. 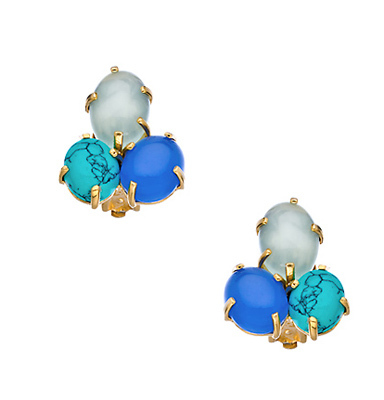 Julie Vos gold chalcedony and turquoise curaçao clip earrings, $135 at Max & Chloe. 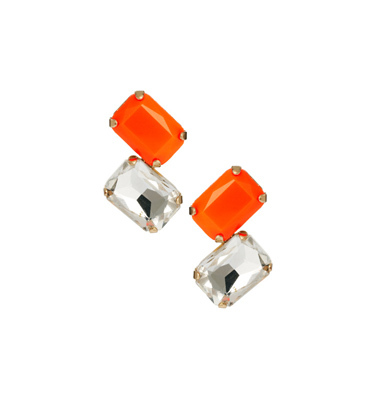 Fluro clash flower studs, $18 at Topshop. 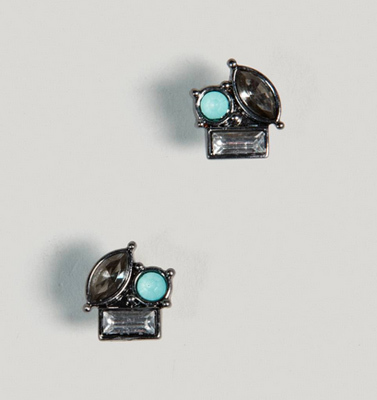 Pim + Larkin cluster stud earring, $16 at Piperlime. 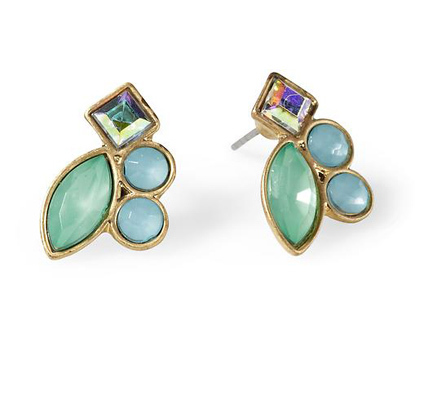 AEO gem cluster earrings, $12.50 at American Eagle. 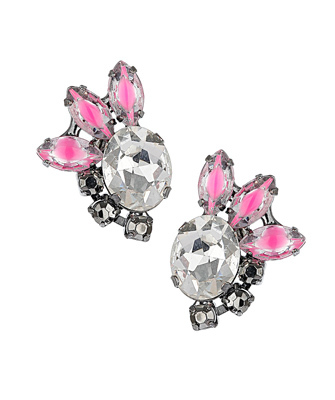 Double baguette clip-on earrings, $10.55 at Asos. 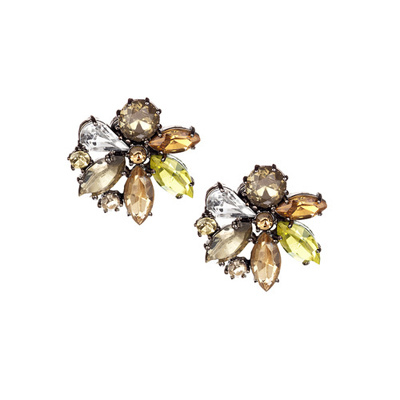 Crystal Collision posts, currently $29.95 at Anthropologie. 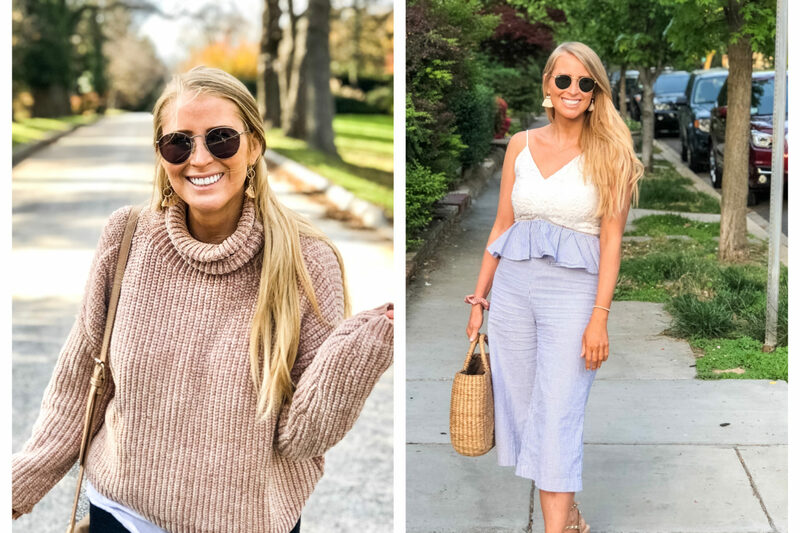 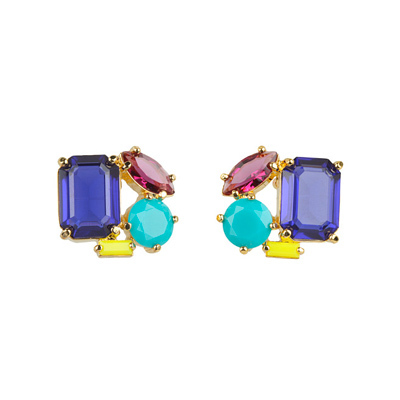 Lulu Frost for J.Crew Navette burst earrings, $98 at J. Crew. 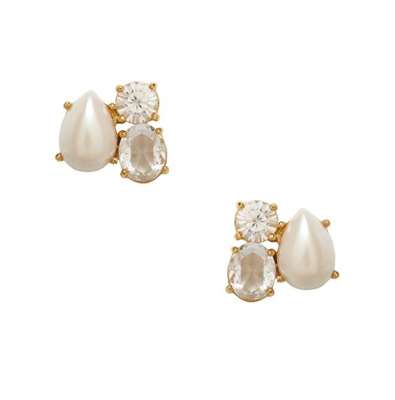 Fragment pearl studs, $68 at Kate Spade. 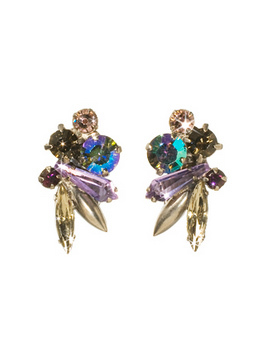 Spike Out earring, $62.40 at Sorrelli.